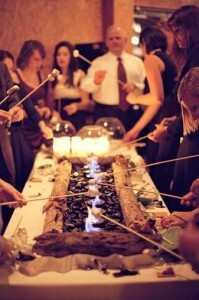 Since the beginning of time people have used food as a means to bond and build relationships. 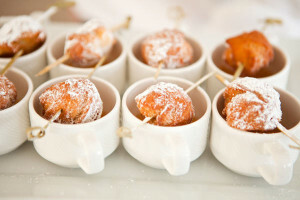 In no other event is this more evident than a wedding; where guests are treated to hors d’oeuvres during cocktail hour, a decadent main course, and then dessert. 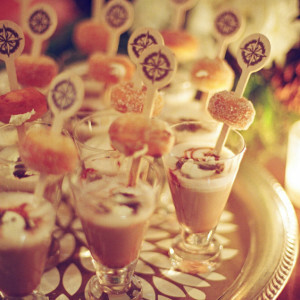 And many couples these days are not stopping at dessert. 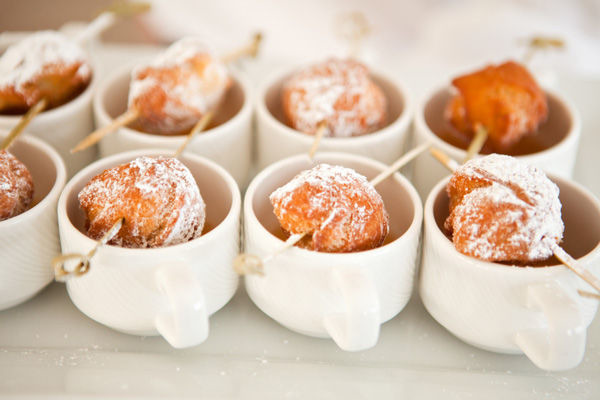 As wedding celebrations often extend well into the evening, late night snacks are becoming increasingly more popular…and we love this trend! Here are some late night tasty treats for every season! You don’t need a fire pit to enjoy these delicious treats! 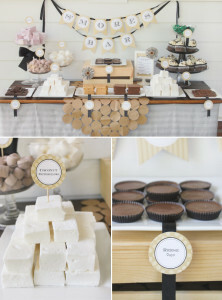 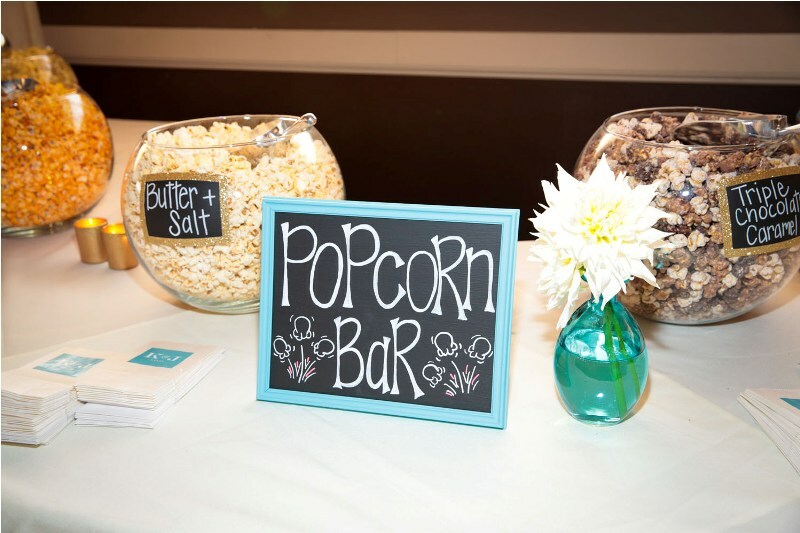 Set up a s’mores bar indoors using Sternos, as illustrated in the cute display below. You can arrange different flavored marshmallows, graham crackers and chocolates around the “fire” so your guests can put together their own delicious snack. For a fun twist on traditional s’mores, use a Reese’s peanut butter cup or chocolate caramel square instead of a piece of milk chocolate! 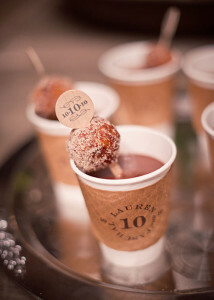 We love this idea of offering hot cocoa and doughnuts as a late night snack on a chilly winter evening. 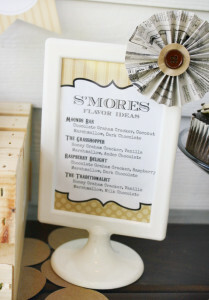 There are so many creative ways that this can be done and this treat can be personalized, too! 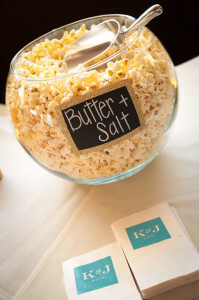 If you are planning a winter wedding, this is a must. 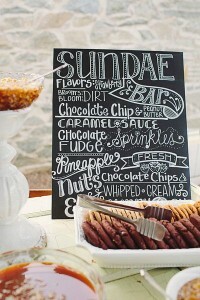 What better way to cool down at a summer party than with delicious, creamy ice cream? 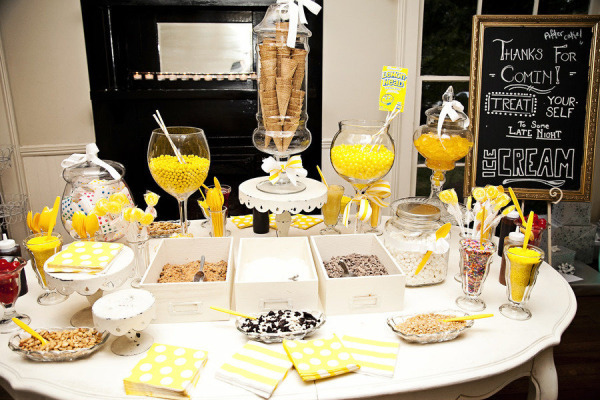 An ice cream sundae bar is not only a yummy way to beat the heat but it’s also a lot of fun for your guests. 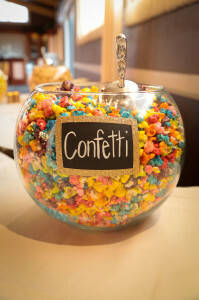 Find your favorite candies or toppings and display them in cute bowls with your favorite ice cream flavors. 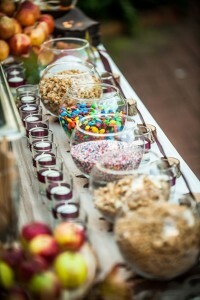 This scrumptious display will surely add more color to your wedding day! 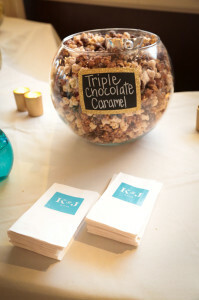 Contact us today for more ideas on how to make your special celebration unique, creative and extraordinary!